Many people who work in manufacturing want machine data collection software information. Real-time machine data has become a hot topic, with the introduction of IIoT (industrial internet of things) and Industry 4.0 in this field. What exactly can be monitored? 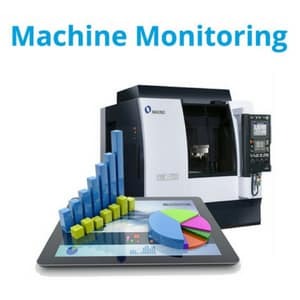 What type of machinery works with machine monitoring? What are the advantages of using Cloud-based monitoring versus on-premise software? Also known by: machine data collection, CNC data collection, machine utilization monitoring, CNC machine monitoring, machine downtime alerts, and OEE monitoring. Shop Floor Automations has been providing machine monitoring solutions for manufacturers for over a decade. Give us a call at (877) 611-5825 or fill out a contact form.